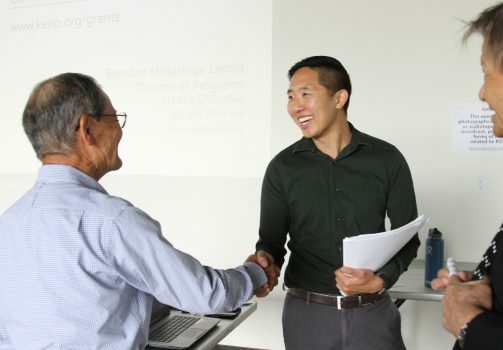 Keiro is proud to announce a new partnership initiative with Little Tokyo Service Center to supplement current staffing, programs and financial assistance to Japanese American and Japanese older adults. “Aging” can be simply defined as the process of changes (physically, mentally, psychologically) that occur in your body with time in your adult years (we include “adult years” to separate out the maturation and growing process that occurs in children as they reach adulthood). Caring for Caregivers: Join us for our Annual Caregiver Conference! Join Keiro at the Gardena Valley Japanese Cultural Institute on Saturday October 28, 2017 for our annual Caregiver Conference. 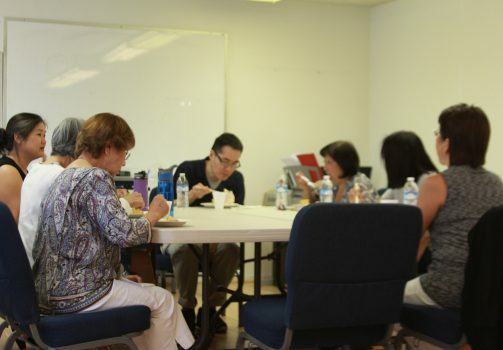 Keiro is proud to partner with Providence Health & Services Southern California on the first program in the U.S. to focus on delivering palliative care services to Japanese American and Japanese-speaking older adults. In a small room at the back of Los Angeles Holiness Church, a group of caregivers gather for a meeting. Most of the congregation makes their way out of the church as they go about their Sunday afternoon, but this group stays behind to break bread, fellowship, and talk. 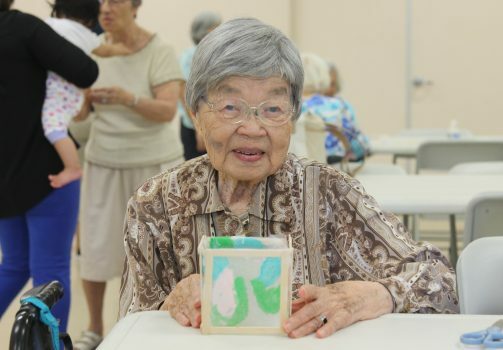 On Tuesday and Wednesday mornings, Japanese American and Japanese older adults gather at the East San Gabriel Valley Japanese Community Center (ESGVJCC). When they arrive, the older adults make their way into the facility’s social hall and sit together at long, white tables anticipating the day’s activities that await them. 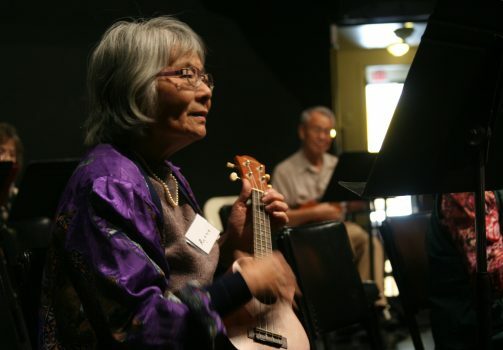 At the Japanese American Cultural and Community Center (JACCC), Chester Ikei teaches older adults how to play the ukulele as a way to bring them together and reduce some of the challenges of aging. The free class supported by Keiro Grant funding, called Ukuleles for Little Tokyo (U4LT), began in September 2016 and has seen interest grow with every class. Now boasting a class size of about 30 students, Mr. Ikei and the JACCC encourage these older adults to learn how to play and sing classic Japanese songs – the kind they listened to in their youth. In April 2017, Keiro announced the recipients of the Grants Program and invested over $900,000 distributed among 44 local community organizations that pledged to purpose the funding in the pursuit of advancing Keiro’s mission: to enhance the quality of senior life in Our Community. Keiro has announced its 2017 Grants Program cycle, an important component of Keiro’s programs to support thousands of older adults and caregivers in the Japanese American and Japanese community.